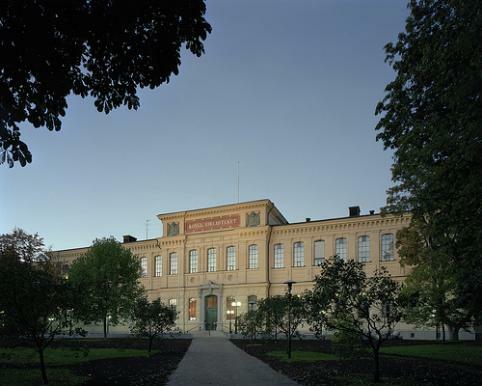 The National Library of Sweden (KB) is responsible for collecting everything that is printed in Sweden. This encompasses a wide assortment of items: collections of poetry and scholarly essays, as well as advertisements and bus schedules. It also includes collections from TV, radio, film, music and computer games. All of it must be preserved for future generations and made available for both research purposes and the interests of the general public. That is what comprises the nation’s collective memory. For more than 300 years, KB has been an important source of knowledge about Sweden. The royal book collections date as far back as the 1500s, but is wasn’t until the 1600s that KB was actually created. In 1661, the predecessor of the current legal deposit legislation came about, stipulating that one copy of everything printed in Sweden had to be submitted to KB. At that time, this was motivated primarily by the desire to make sure that material did not contain any criticism of the royal power or state. During the 1800s, there were developments in printing technology and an increasing number of books were published. KB’s role became more that of a national library, responsible for collecting and preserving various types of material. During the 1900s, KB became a central place for researchers and students, primarily within the humanities and social sciences. But, plenty of journalists and authors have also spent time in the reading rooms of KB. Regina is the online catalog of the National Library. It contains records of about two million books and other materials in our collections. LIBRIS is the joint catalogue of the Swedish academic and research libraries and is updated on a daily basis. The libraries providing cataloguing input all contribute jointly to building up the database contents. At present the LIBRIS database contains 6.5 million titles.